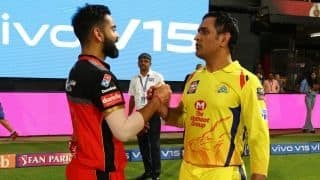 Hello and welcome to LIVE coverage of Match 28 of the IPL 2019 in Mohali where Kings XI Punjab (KXIP) square off against Royal Challengers Bangalore (RCB). 11.51 pm: We leave you with some images of what this win, RCB’s first of this season, meant to captain Virat Kohli. That’s a wrap for now, folks. We hope you enjoyed our coverage as much as we enjoyed reporting it to you. Do stick around for all the post-match reports, videos, analysis and much more, but from all of us over here, it’s good night! 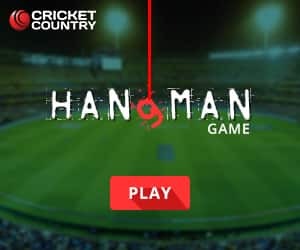 Summary: Finally, finally, finally, RCB have registered points this season, after a string of six defeats, they have now beaten KXIP, who have lose their first match in eight games at Mohali. 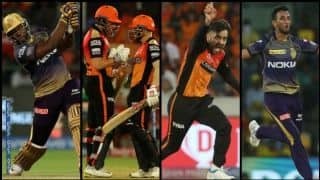 The last one was against Gujarat Lions in 2017. Kohli was ecstatic after Stoinis scored the winning runs and yelled a huge “come on”. 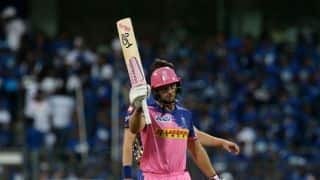 The win was set up by the captain, who registered his 36th IPL half-century and his partnership with De Villiers. What a day for RCB and their fans! Finally @RCBTweets on the board and it has been a good performance. 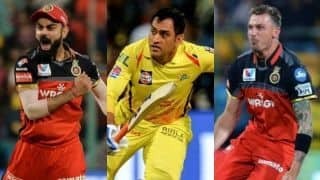 Virat ABD Stoinis, all big guns doing well. Despite Gayle 99 to keep the chase manageable was a good effort. 20th over: IT’S ALL OVEER! Stoinis scores the winning runs, the tricky move hasn’t worked. RCB win by 8 wickets and register their first win of this season. Ashwin introduces Sarfaraz Khan, who is bowling his first ever over in IPL history and he has been smoked for a boundary by Stoinis. 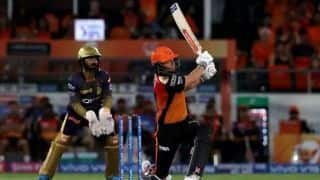 19th over: STOINIS SHINES! Shami to continue. Meanwhile, De Villiers has brought him his half-century in 35 balls. GAME ON! It’s getting really close here. Stoinis smashed a vital boundary and ABD follows it up with a MASSIVE HIT to the deep square-leg region. RCB need 6 from 6 to register their first win. AB creams that over the cover fence!!! Whaddaplaya!! 😑😑😑 Cap'n Kohli strikes that very well, but M Ashwin was waiting right there for it. Skip's out for 67(53). RCB running away with this run-chase here, this is certainly been their best performance of this season so far. Really admire courage of Parthiv Patel whose father is in ICU for past 2 months yet you see Parthiv giving more than 100 % in the field. Keep going PP. 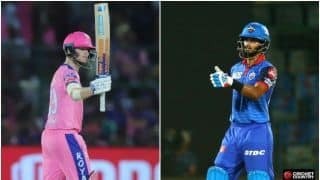 Virat Kohli now holds the record of most runs by an Indian in the Twenty20 cricket, surpasses Suresh Raina's tally of 8145 runs. An expensive start from Shami as he went for 15 from his first. But koi na, sannu tuhaade tey poora bharosa hain tussi next over comeback karoge. Summary: Another splendid show from the Universe Boss! 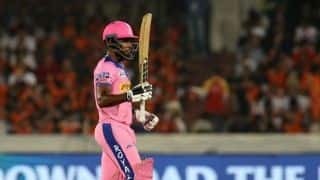 Although he received a reprieve had RCB reviewed the decision in the fifth ball of the innings, Gayle was on song today, despite showing patience against the spinners — Yuzvendra Chahal and Moeen Ali — who brought RCB back into the game. RCB missed a review, Kohli dropped a dolly at the end, but RCB still stopped Gayle from scoring a century. 51 runs were scored in the last 5 overs and RCB will take it any day specially after the platform Rahul and Gayle gave the hosts. Kohli and Co will fancy themselves to chase down this one, but you never know in the game of cricket. Stay tuned for an exciting run-chase’s coming right up. The #UniverseBoss looks all set for a big one. Nothing seems to be going right for RCB, guess you’ve heard that before! A straightforward LBW call wasn’t given by the umpire and Kohli didn’t even review the decision. AB de Villiers then dropped a tough chance that gave Rahul a reprieve. Looks like another huge score coming up. In recent times, I have been labelled pro-Dhoni and anti-Dhoni, pro-India and anti-India, pro-Kohli and anti-Kohli, pro-BCCI and anti-BCCI. I find that reassuring. It confirms there is no bias, which is the primary benchmark I set for myself. Thank you. Gayle ne tey mid-on de upar maarke ek aur chauka apne naam kar litta. Yeah…#RCB should have used the DRS. But it was also a rather ordinary decision. Three Reds. Gayle. 7.13 pm: Both teams have observed a minute’s silence in memory of the victims of the Jallianwala Bagh massacre, which happened on April 13, 1919. The things that we went through, the costs that we paid, the sacrifices that we made will never be forgotten. 6.43 pm: Another defeat for RCB and it’s end of the road for Virat Kohli in this IPL. On the other hand, can KXIP make it four out of four wins at Mohali? Stay tuned for all the live updates as we build up to the second match of Super Staturday. 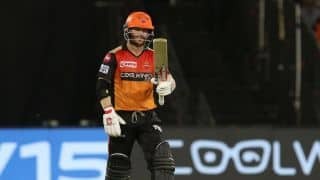 With six consecutive defeats, the Royal Challengers Bangalore have equalled the erstwhile Delhi Daredevils (currently Delhi Capitals) for the worst start by a team in Indian Premier League’s 12-year history. The Daredevils, in 2013, like RCB, had lost their first six games on the trot and not surprisingly, finished with the wooden spoon. 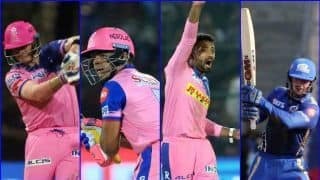 Only one team has managed to pull of a similar reversal of fortunes, when in 2014, the then-defending Mumbai Indians staged a stunning comeback – having lose their first five games – to make it to the Playoffs. 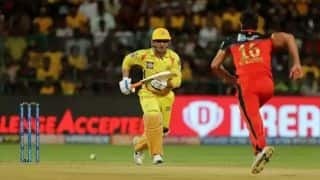 RCB are a game behind, and a seventh straight defeat, will not only make it the worst start ever by a team, it would also end RCB’s hopes of making it to the final four. As much as failing as a team might be held accountable for their loss, it is the individuals that have let RCB down the most. According to a mind-blowing stat, RCB have dropped 14 catches and bowled six no balls, the most by any franchise.